Today we’d like to introduce you to Dr. Joy A. Bozzo, ND. Dr. Bozzo, please share your story with us. How did you get to where you are today? 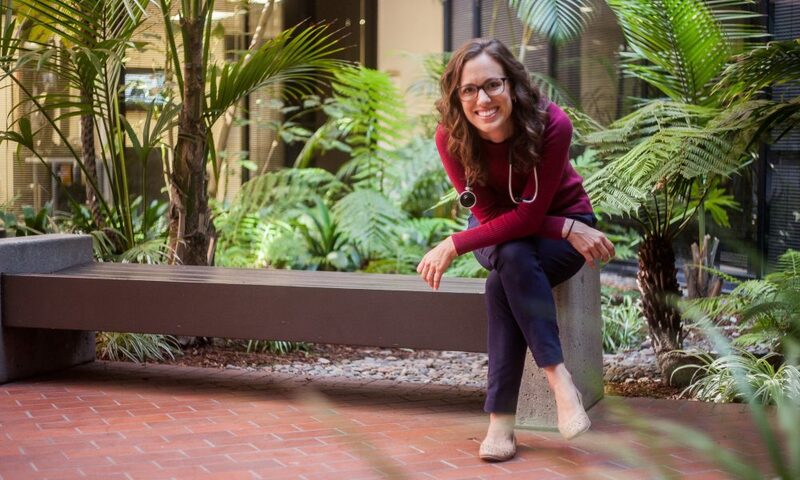 I have loved the process of building a successful naturopathic medical practice. But like any ambition, it has come with struggles. One of the biggest has been prioritizing my own wellness and self-care. I must remind myself daily to practice what I preach. I need to feed myself well. I need to respect the work/life balance. I need to actively practice stress management. And sometimes I need to take an hour to ground myself and stare at the ocean and let me feet squish in the sand. The other struggle has been balancing all the hats that I wear. I’m at times a wife, a mother, a doctor, and an entrepreneur. It was shortly after starting my private practice, I got pregnant with my second daughter. Returning to see patients postpartum I struggled with the question, can I be the best mother, wife, doctor all at the same time? I feel equally called in life to be both a mother and a naturopathic doctor. And I don’t want to compromise on either of those roles. With the help of a business coach, I’ve made changes in my practice over the years. And I’ve learned how to balance family while giving my patients the highest level of care possible. I love that I can build a successful practice and still go to special school events for me kids all at the same time. I create a tailored approach to health for those suffering from autoimmune disease, digestive issues, or hormone imbalances. I spend a great deal of time listening to my patients so I can understand the bigger picture of their concerns and symptoms. My goal is always to find the root cause of their ailments. I will identify the biggest causes, and work towards eliminating or minimizing them. The best way is often through effective natural treatments such as herbs, vitamins, minerals, nutrients, and diet and lifestyle modifications. I will occasionally use pharmaceuticals. The top 10 concerns patients come to see me about are: fatigue, digestive symptoms (bloating, gas, reflux, etc), autoimmunity, thyroid conditions, weight concerns, sleep disturbance/insomnia, joint pain, depression/anxiety, brain fog, and headaches/migraines. One of the things I’m most proud of in my practice is that I give patients a new and restored hope in their ability to get better. Many patients that come see naturopathic doctors are entering feeling like they are at the end of their rope. They have seen doctor after doctor. And they often tell me that this is their last try because they have lost hope of recovery. The functional and naturopathic approach that I take offers SO MUCH to my hopeless patients! I love being able to say, “hang in there, we will get there.” And I love seeing the light in their eyes the first time they realize they are getting better and their symptoms are going away! One thing that sets me apart from other doctors, even naturopathic doctors, is my tailored comprehensive New Patient Package. Simply, it’s three appointments that include a comprehensive blood work panel and IV vitamin therapy. It gets my new patients a jumpstart to achieving the improvement they are seeking. You will see more functional medicine doctors, more licensed naturopathic doctors, and more alternative medicine providers in general. Patients are looking for a more comprehensive approach that offers more than just pharmaceutical options. They want someone trained in nutrition and herbal medicine as well as all the conventional medicine diagnostics and treatment options. Licensed NDs like myself that attend 4 year doctorate level naturopathic medicine schools and pass national board exams will fit that need and become much more common place (as it already is in states like Oregon and Washington). Great article and great pictures. Your girls are growing up so fast, Continue to take good care of yourself.